I haven’t been blogging for a long time, maybe even a few months and that’s on and off. I haven’t gone to any events and I’m not a part of the community yet. However, that doesn’t put me off. 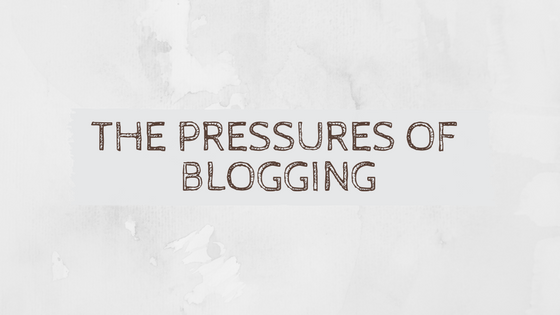 I think I’m intimidated by a standard I have in my head for blogs to be. Blogs should have themes to them and be coherent, so you can’t be jumping from subject to subject; if you write about books, stick to books ect… but I chose the name ‘Jessies Journal’ for a reason. I can’t stick with a ‘theme’ or just one topic. I enjoy reading the news and learning about politics and maybe one day I will have a view I would like to share. I don’t want to feel restricted, or a saying I don’t particularly like ‘being put in a box’. I enjoy jumping from topic to topic because that’s who I am in person. Although I have just changed my theme… for the 2nd time in a couple of days (oops – I’m still trying things out), while picking one out, I felt the need to go for one of the clean and sharp ones. One that doesn’t have much personality to it but is aesthetically pleasing. While I am trying to get a bit more minimalist, I also want my personality to shine out and not just in the words I use. I may have changed themes, because I felt my old one was a little childish and this one still has pops of colour and a pretty header (if I do say so myself 😝) but I still felt this pressure to comply and do ‘what all the other bloggers are doing’. After joining up to bloglovin’ just recently (go find me on it! ), I have realised just how many people take amazingly clean, brilliantly lit photos to go with their blog and quite frankly, I don’t have the talent nor the time to do that every time I want to post but I feel like I definitely should be putting the effort in there, especially when I post on Instagram. Maybe it will come with time and I’ll grow into being a ‘better blogger’ and collect the skills I need along the way or maybe I’ll find a little section in the blogging world that’s ‘me’ shaped, maybe I’ll make one. But for now I’m going to keep bustling about on here for as long as I have something to say. Next Recent Purchases from Sales!